I am interested in building a wiki for my scientific computing code on gitlab which needs me to write equations and render them in the wiki in gitlab. 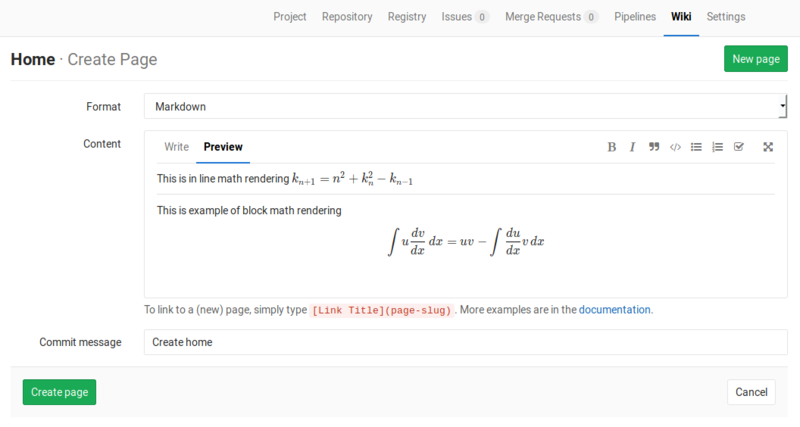 I tried to paste the mathjax rendering script but it doesn't work. Can KaTeX be used anyhow ? GitLab supports KaTex from GitLab CE 8.15 using code backticks. Documentation is here and the Relevant discussion are on merge request 8003. 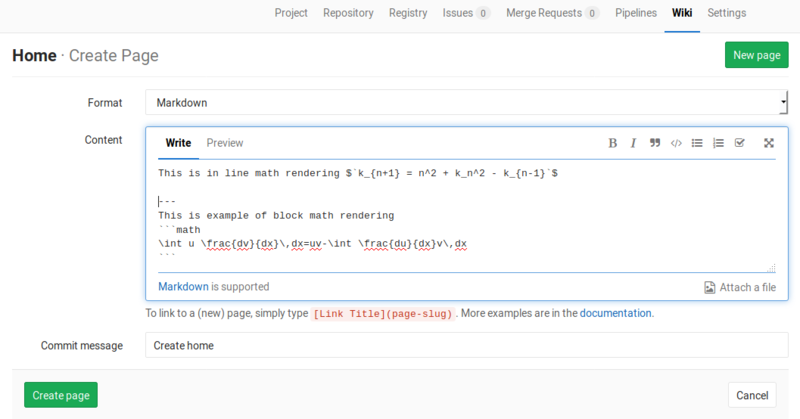 But if you want to publish it on gitlab.com, this integration is not yet active. Not the answer you're looking for? Browse other questions tagged markdown gitlab gitlab-ci or ask your own question. How do we use the 'variables' keyword in gitlab-ci.yml?